Pagan Priestess and Goddess Historian Morning Glory Zell-Ravenheart passed through the veil on May 13, 2014. 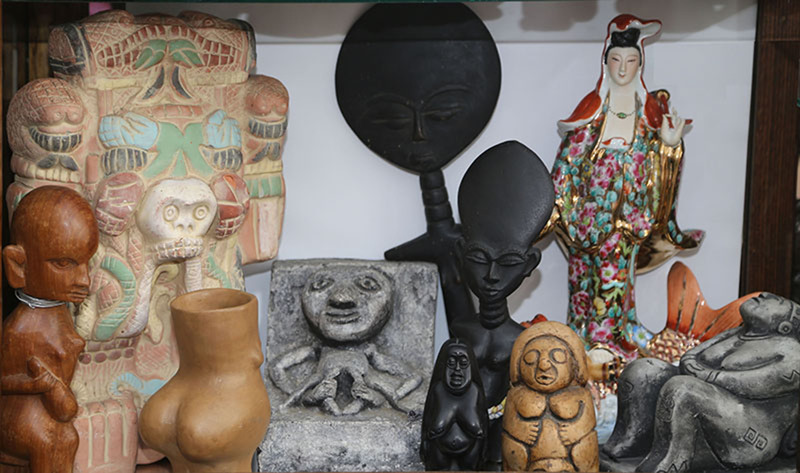 Her final wish was to preserve the knowledge and wisdom she carried of her incredible Goddess Collection for the generations. 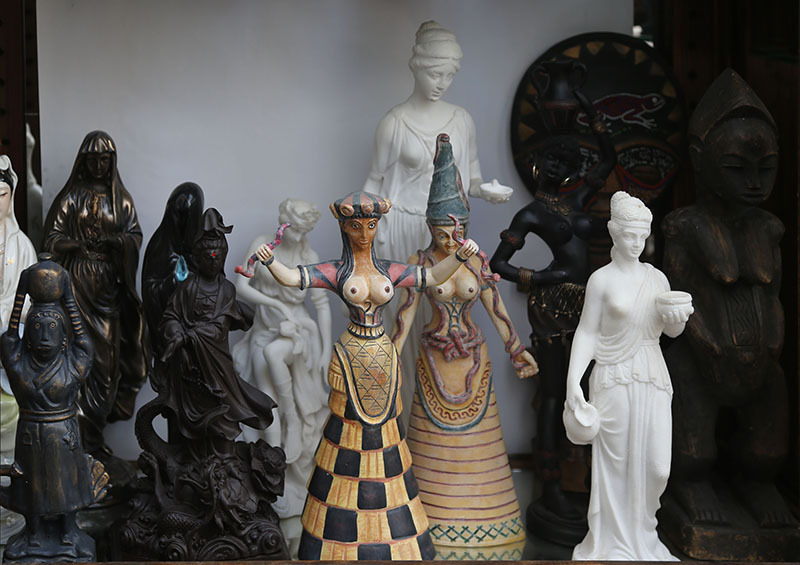 Morning Glory's dream was that her unique Collection may someday be housed in a location accessible to people interested in learning about the Goddess, to see and to handle these figurines for the purposes of learning and personal empowerment, as well as scholarly pursuits. 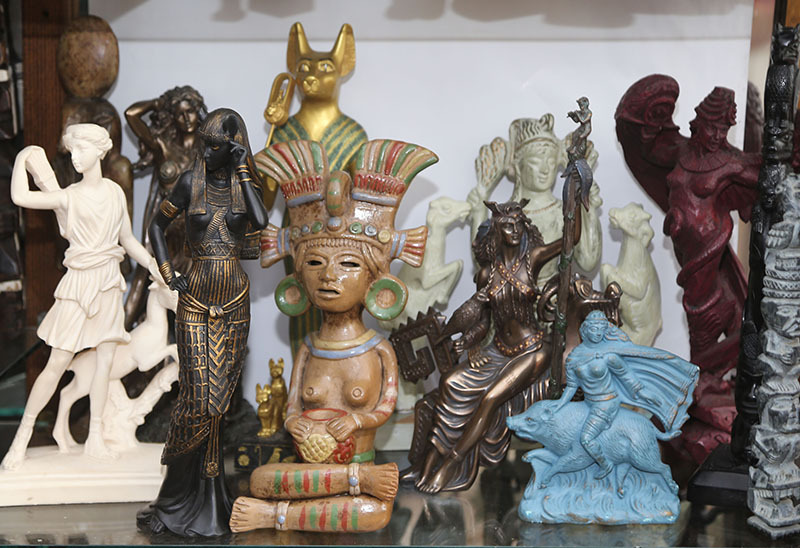 In fulfillment of that dream, the Academy of Arcana is proud to exhibit Morning Glory's legendary Goddess collection of 333+ votive figurines from around the world, spanning over 30,000 years. 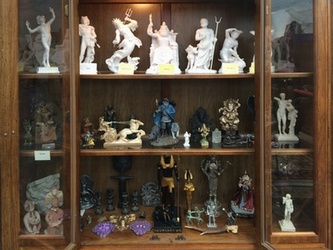 The two large mirror-backed display cases were made by Oberon, who also sculpted a number of the figures. 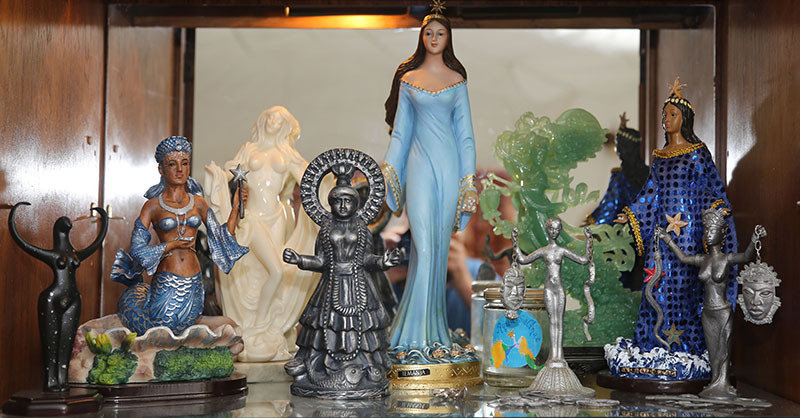 This Collection includes originals and museum replicas, in 13 categories. Morning Glory had created these groupings for a year-long series of monthly "Goddess Encounter" weekends; she had intended to develop those seminars into a series of 13 "Golden Goddess Guides." Her students hope to complete this project. 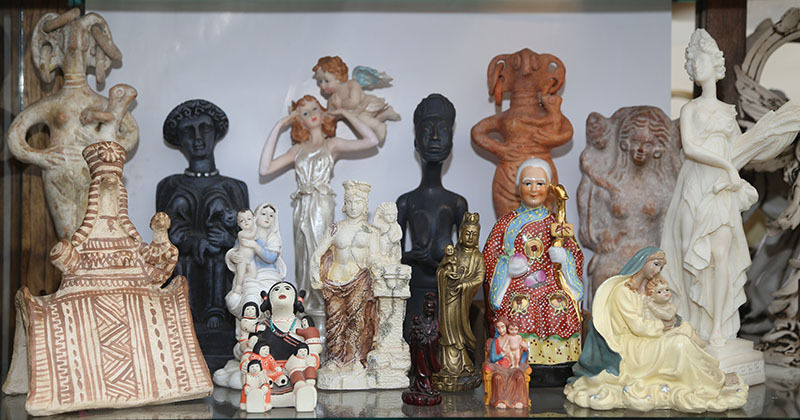 Additionally, a separate display case at the Academy features a collection of 50 God figurines from various pantheons. 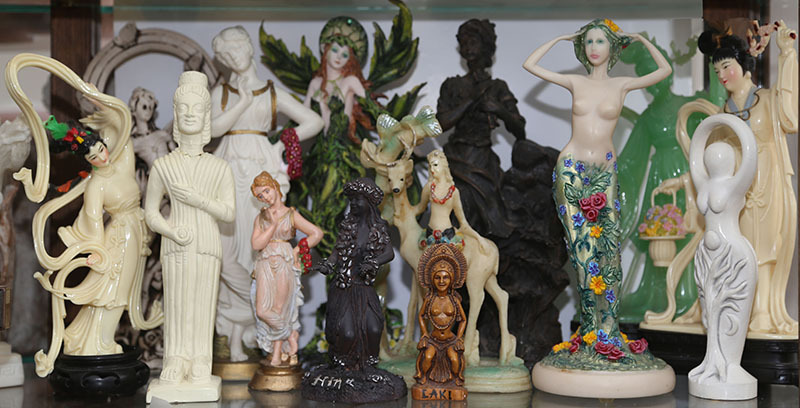 A GoFundMe Project successfully funded several of Morning Glory's students to establish a professional catalog of the figurines. This was accomplished in 2015 by Kiri Greenfield, MG's first and last apprentice; Raina Woolfolk (photographer); Kat Doherty; and Artemisia Barden (data entry). 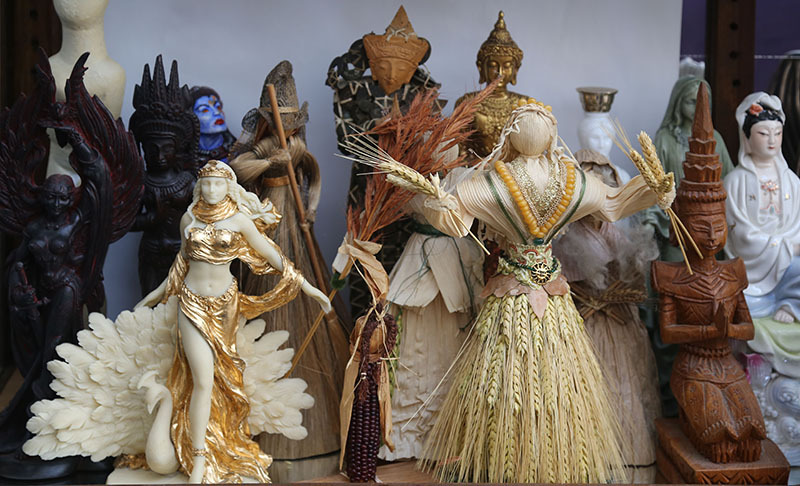 The work remaining to be done is to link the photos of each goddess to her data entry, and to fill out the remaining fields related to her, such as her history, culture, region, and lore. Of immense importance is the transcription of Morning Glory's interviews and recordings so that these too can be linked to each corresponding goddess. 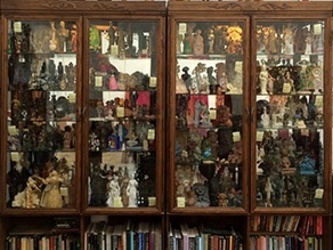 The ultimate goal is to create a single database of Morning Glory's knowledge, connected to each and every goddess in her collection, so that in the future, people who come to view and handle the goddesses in their physical form can have access, via the database, to MG's collected wisdom about them simply by entering the catalog number into the database. This is one of the purposes for which the Academy of Arcana is seeking funding.